London : Chapman & Hall, 1896. 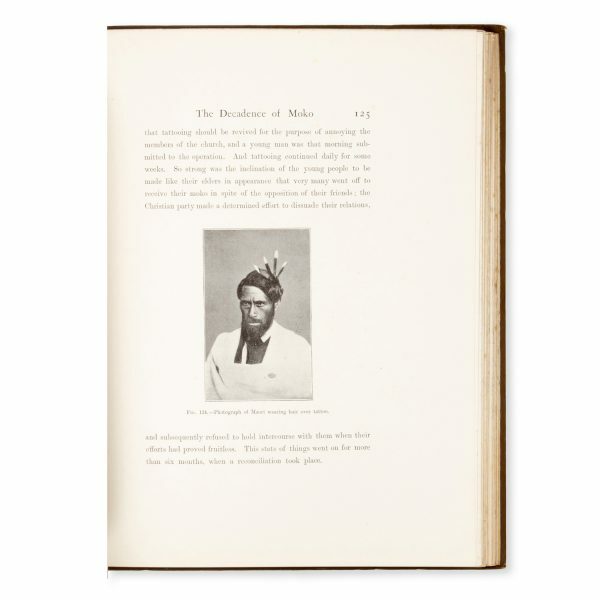 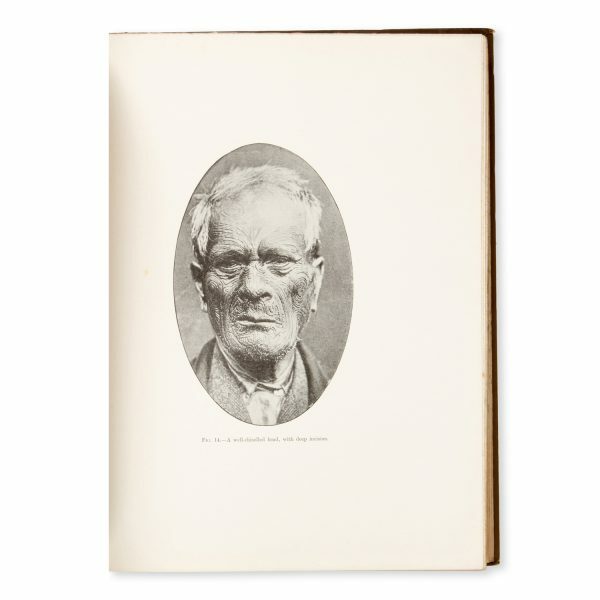 Quarto, gilt-lettered brown cloth with moko decoration, minor rubbing at edges, photographic frontispiece, 180 illustrations and photographs, a very good copy with many pages yet unopened. 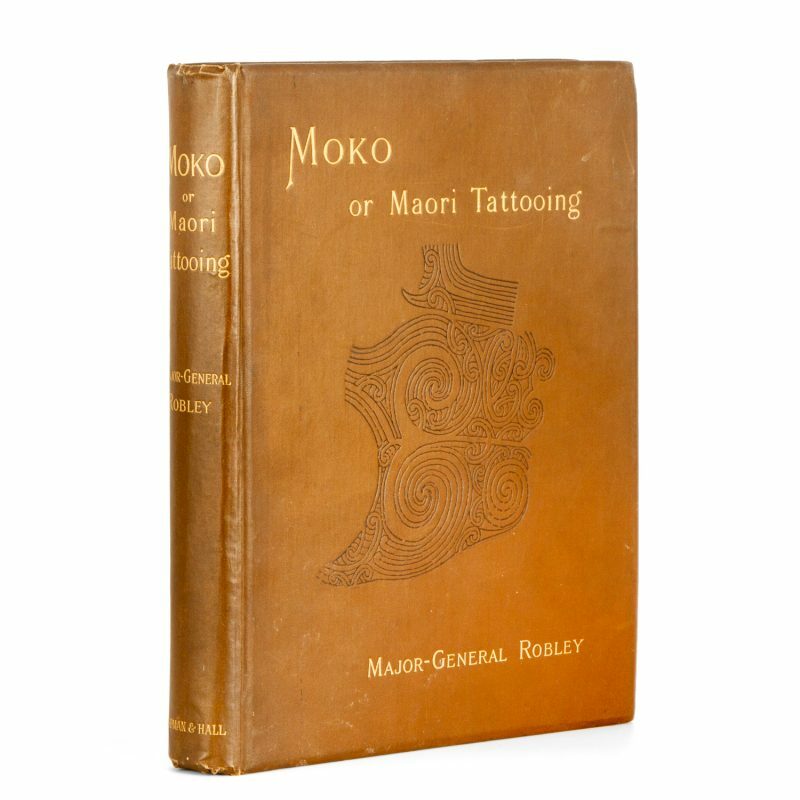 Horatio Gordon Robley (1840-1930) was a soldier, artist, and collector. 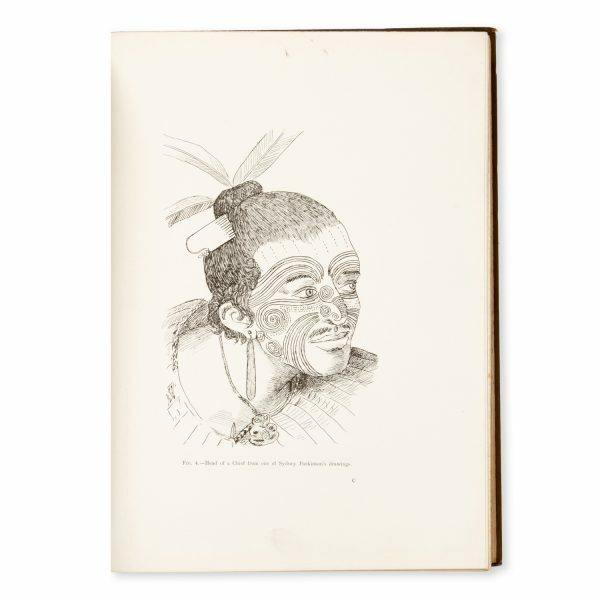 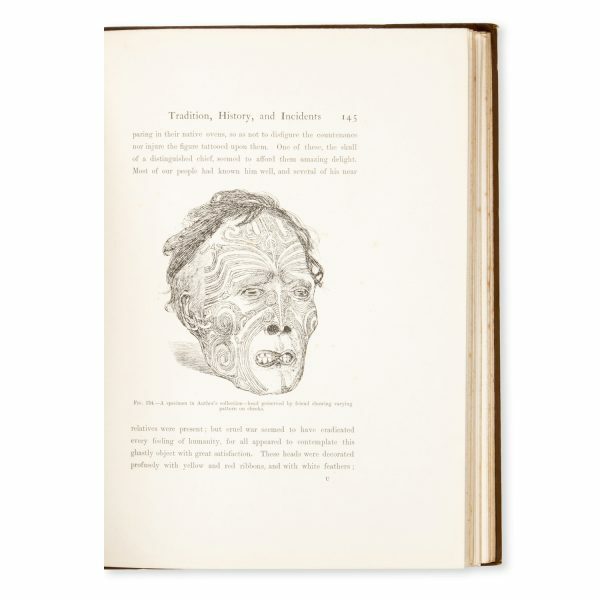 He arrived in New Zealand in 1863 and while stationed in the country drew an unprecedented number of sketches of Māori life. 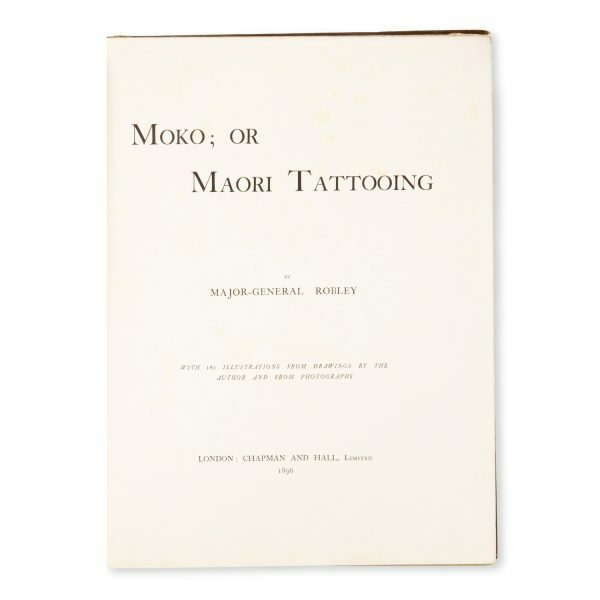 Moko; or Māori tattooing is his magnum opus. 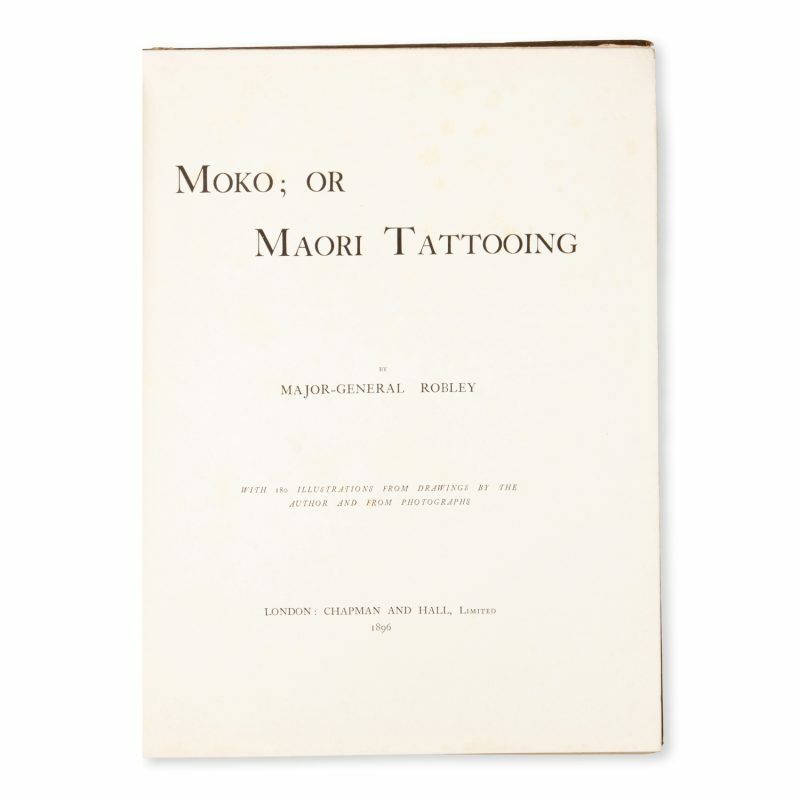 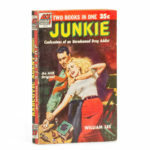 His acknowledged objective was to put together a text to support the specialised record he had drawn of tattoo patterns. Robley also had a significant personal collection of mokomokai, or preserved Māori heads with moko design. When he returned to England in 1908 he offered to sell his collection of heads to the government of New Zealand; they declined, and the collection eventually went to the American Museum of Natural History. 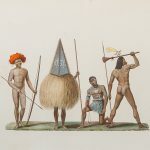 In 1998 these human remains were repatriated to New Zealand.